Montieri is a village that sits on the slopes of a hill covered by forests of chestnut trees. Its name derives from Mons aeris (Bronze Mountain), a reference to the wealth of mineral deposits in the area. The toponym Bolunnio, attributed to a village nearby, leads us to think that Montieri was once Etruscan territory before it was Roman, as shown by the many tunnels that were discovered in area and used for mining. 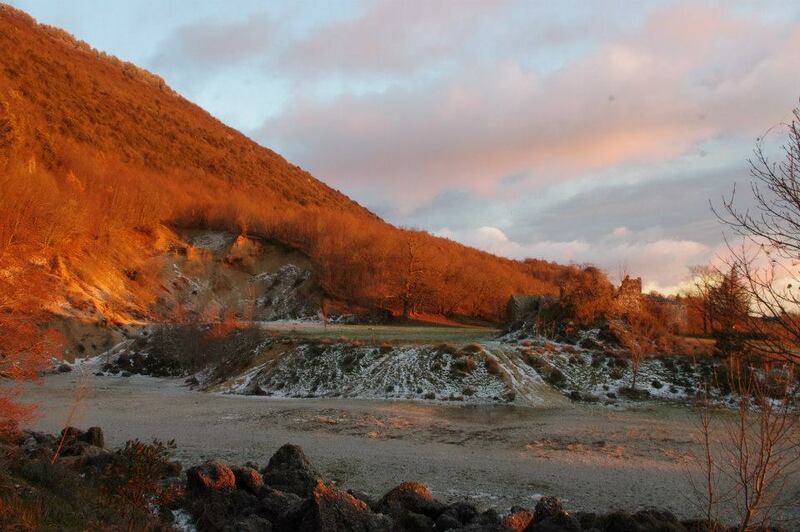 Out of them all, the most beautiful and fascinating is Buca delle Fate. Montieri boasts several traces from the Middle Ages: three towers from the defense walls are still visible, the characteristic streets of the village are striking for their 14th-century tower houses and in the highest part of the town is the Cassero, which was once linked to the historic prisons. Today, Montieri is a tranquil town surrounded by forests of chestnut, oak and beech trees, as well as two nature parks, Campo al Pera and Piano. The area around Montieri has always been tied to mining, and the territory is interesting for its silver rocks, like the Cornate, whose appearance is similar to the lunar surface. In this area, you also find the village of Boccheggiano, which has long defended its mining vocation, and whose landscape is enriched with the Roste, imposing stacks of red scoria. The two villages of Travale and Gerfalco are also worth visiting; the latter is highly interesting for its nearly intact medieval layout. This area is beloved by hikers, as its close to a series of trails that wind through the Park of the Metalliferous Hills, which these hamlets are harmoniously surrounded by. Some of the traditional events in Montieri include the celebrations in honour of the Madonna dei Castagni, which takes place every three years, and the Festa delle Contrade, held every year in August.